Wateen Telecom, Pakistan’s leading converged communications provider, was recently invited to participate in the prestigious first ever Punjab Information Technology Board Information Security Conference. 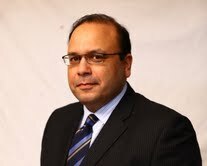 Wateen Telecom was represented at the event by its Chief Technology Officer, Mr. Faisal Sattar. The event aimed at creating awareness around information security and the challenges faced by organizations in the ever-evolving sphere of cyber security and business continuity. The conference brought together various stakeholders from the government, industry, and academia to share their knowledge and experience and debate how to effectively combat the latest threats to Information Security. 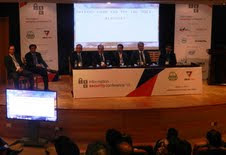 A number of prominent CIOs, Information Security Heads, researchers and professors attended the event. This conference raised awareness about information security and increasing collaboration among universities, industries and government institutions to address this important issue. Dr. Umar Saif, Chairman PITB and Nahil Mahmood, Founder & President, Cloud Security Alliance Pakistan, were the people behind this one-of-a-kind event, which was held at the Arfa Technology Park Lahore. Wateen also provided live updates and notifications about the event on their Facebook and Twitter accounts for the blogging and online community. 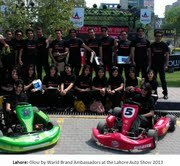 Glow by Warid, Pakistan’s premier youth brand, partnered with Pakwheels.com in orchestrating the 2013 Lahore Auto Show, which was held in Lahore at Liberty Market on 17th March 2013. 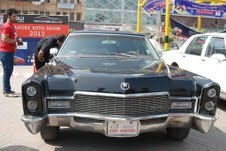 The event featured over 500 cars and was attended by automobile enthusiasts from across the country. The Auto Show aimed to promote the Pakistani car industry, while also providing young fans with an opportunity to see some amazing vehicles while also highlighted the dangers of street racing and reckless driving. Representatives from Glow by Warid were present on hand to provide visitors with exciting opportunities to learn about and download the latest Warid applications at the APPs Lounge setup at the venue. Glow by Warid also provided the attendees with an opportunity to participate in activities and contests to win prizes such as mobile handsets. The auto show was followed by an award ceremony and a captivating musical performance by Club Caramel. 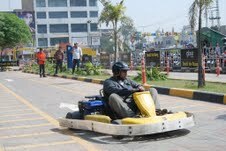 PakWheels.com along with TDCP organized the event under the auspices of the Government of Punjab and PHA, to enrich the Rang-e-Lahore celebrations. Warid has a long-standing relationship with Pakwheels, having partnered with the digital brand on previous car shows. The telecom giant has also collaborated with Pakwheels on the creation of a unique mobile app to bring car buying and selling to all Android mobile phones using version 2.1 and above. Customers can buy and sell cars and view price information of popular car models in Pakistan. The PakWheels Android application allows users to quickly and easily search and locate used cars in their city and enable them to put their cars up for sale. Warid’s involvement with auto enthusiast is also evident in the new Hari Bati app, which shows users street traffic information on a map-based interface. The app allows users to mark frequently visited routes and receive constant updates regarding the traffic situation directly on their handsets. 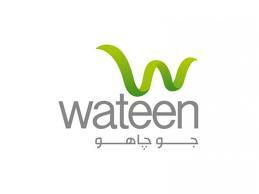 Wateen Telecom, Pakistan’s leading converged communications company has been awarded a PKR 449 million project to develop an extensive optical fibre network in Sindh. The USF Sindh project entails the laying of over (1,037) km of an optical fibre network in Southern Telecom Region. An amount of PKR 449 Million will be provided by USF in the form of a subsidy; the rest of the cost will be borne by Wateen. The new optical fibre network will connect 17 unserved cities and towns.. Wateen has joined hands with the Universal Service Fund Company (USF Co.) to undertake this project of national importance, which will go a long way in bridging the digital divide in the country. The project, funded through a USF subsidy, will provide state of the art digital infrastructure in remote areas of Sindh, and could be further exploited to build IT, telecom, education, health and business services in these areas. This protect has been inaugurated by Prime Minister Raja Pervaiz Ashraf on 23 February 2013, in Sanghar – Chak # 11 along with a number of telecommunications and health and education projects. Flick.pk is recent launched and ready for use. It is authentic and reliable source of family education and entertainment in Pakistan and the world. You can take it as an alternate controlled media site to ensure the content, particularly videos posted are in compliance with the principles, values and teachings of our sacred religion Islam as well as the ideology, creation, culture, founders and people of our beloved country Pakistan. One of the powerful feature introduced is that you are able to import videos already uploaded on the internet. There is no need to upload them again on Flick.pk although you may as you like. Currently supported sites for import include Youtube, Vimeo, Blip, DailyMotion and Metacafe. Flick.pk has a mission to provide education and entertainment that is in compliant with all of our cultural and religious values. You can comfortably let your kids watch videos at Flick.pk without worrying about the content. They have humans in place for approving all the videos submitted on Flick.pk. You can upload your own videos and you can also import a video from other websites on Flick.pk. For importing a video, click on the "Suggest video" link under your name on top-right corner, enter the URL of the video you want to import and click the "Submit" button. Your video will be available automatically immediately after approval by an admin. Currently you can upload video files upto 500 MB in size. Flick.pk works on all smartphones, tablets and other mobile devices. For uploading a video, click on the "Upload" link under your name on top-right corner, browse the video you want to upload and click the "Upload" button. Your uploading will start, and it will take some time to complete. Your video will be available automatically immediately after approval by an admin. Go to the site, make your account and start uploading or import videos. This is our own Pakistani community. Lets use it.